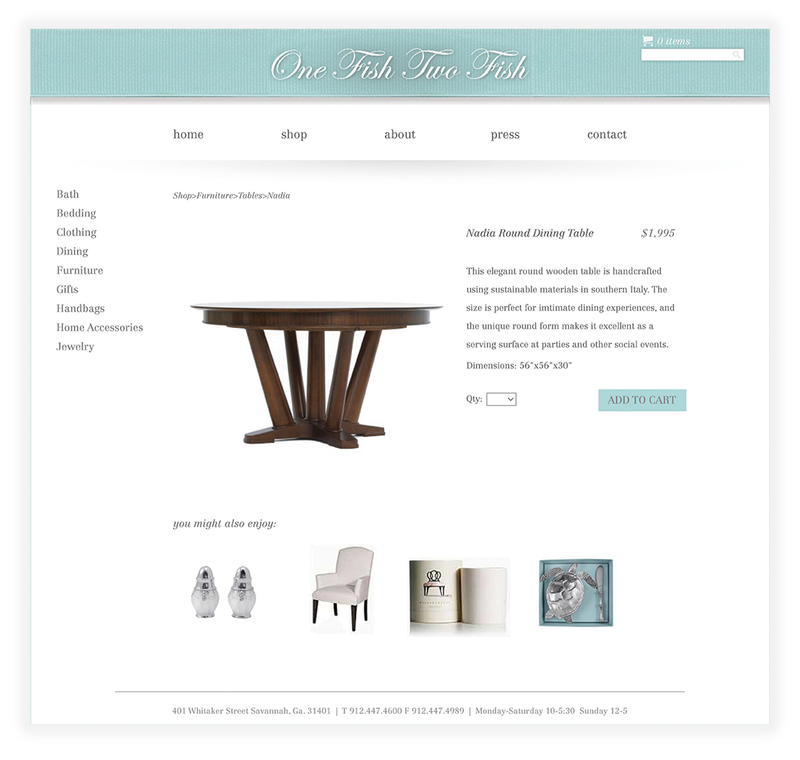 One Fish Two Fish is a home goods and accessories store in downtown Savannah, Georgia. 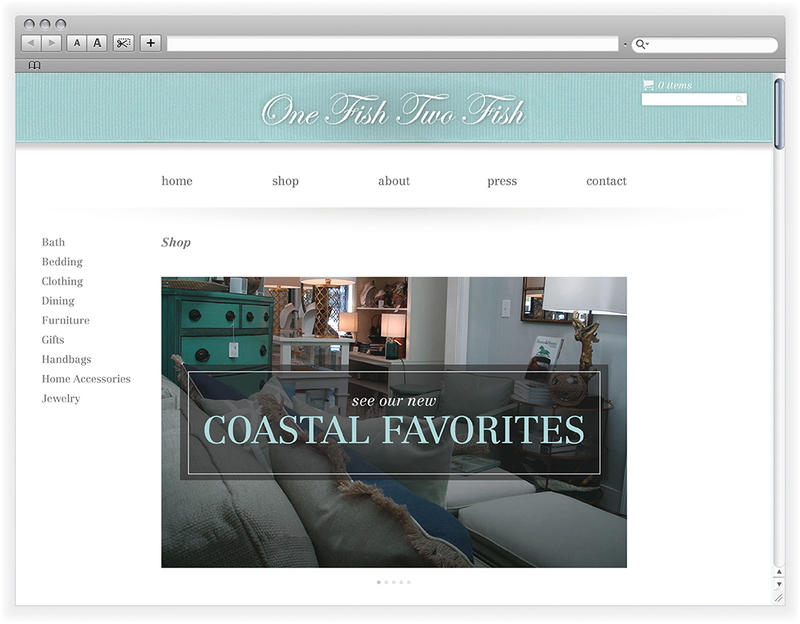 The brand is hospitable and Southern, and I wanted to capture that in the redesign of their website. 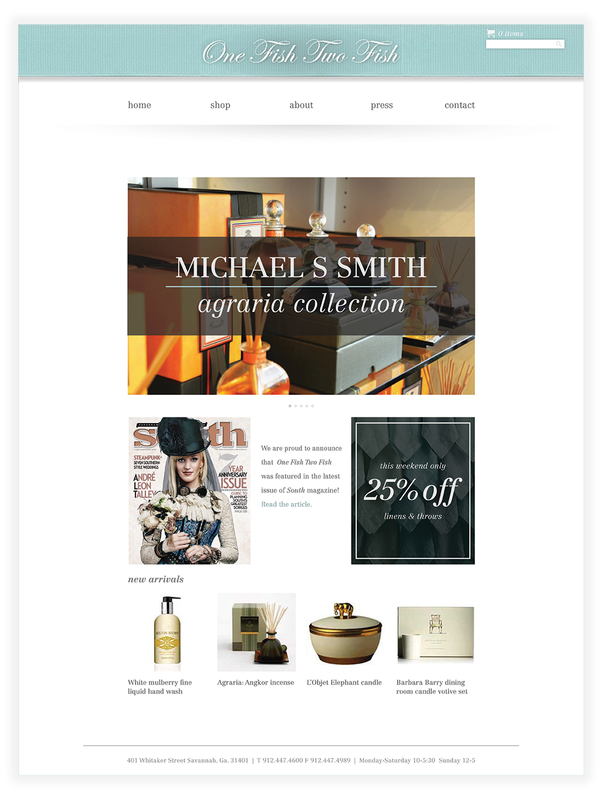 An example of a sub-page in the Shop section. 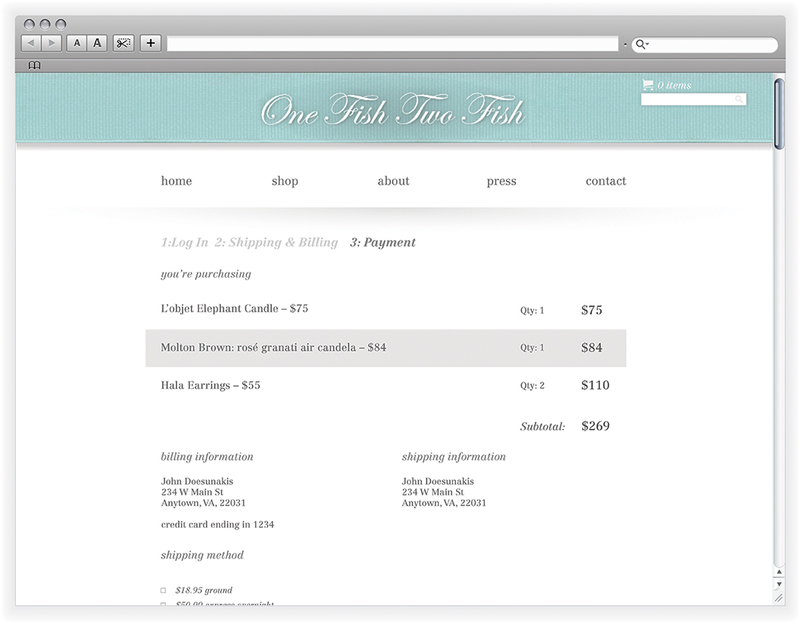 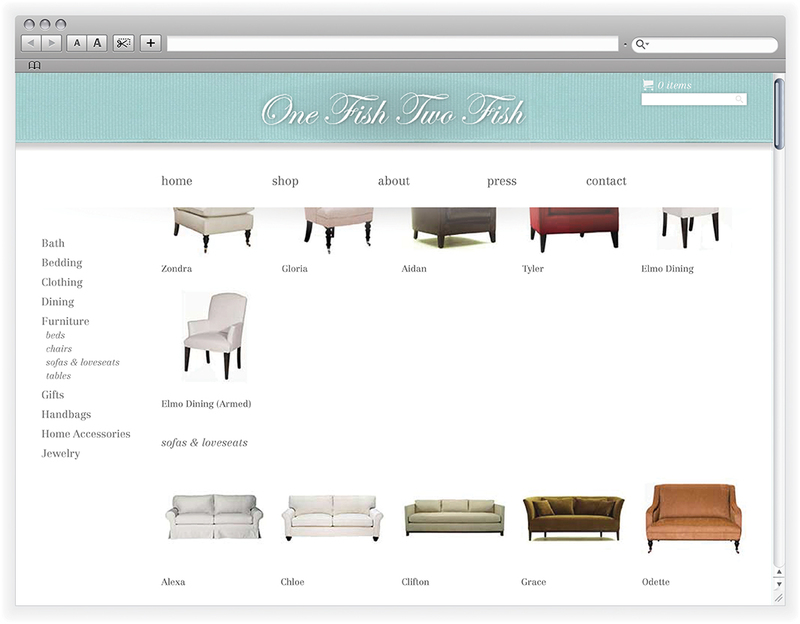 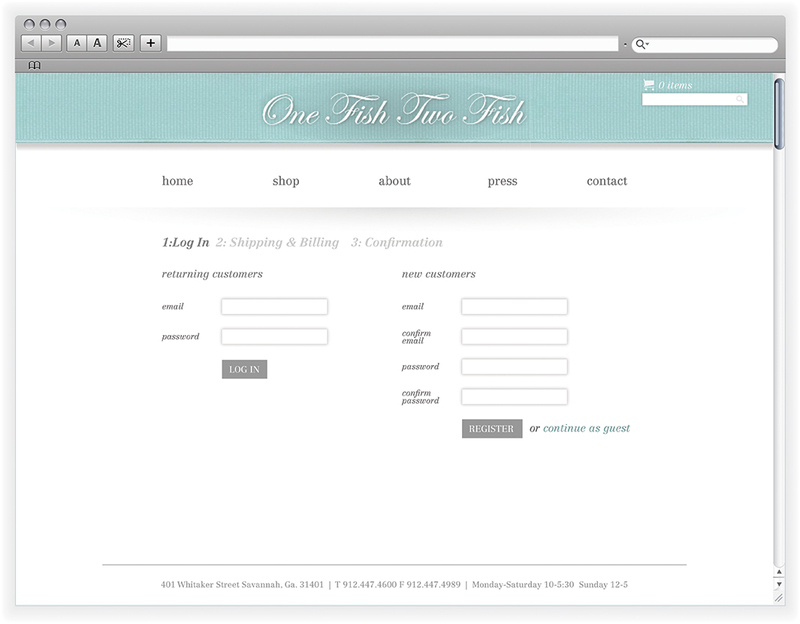 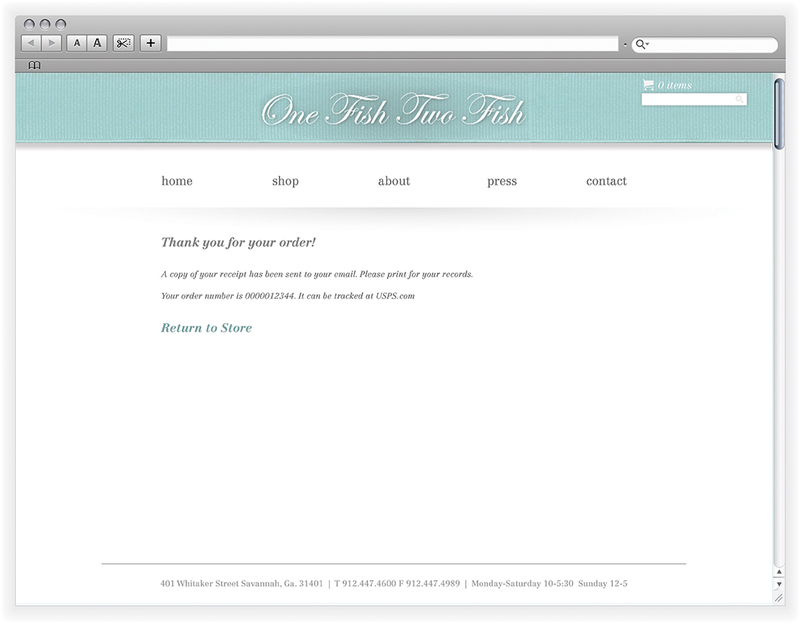 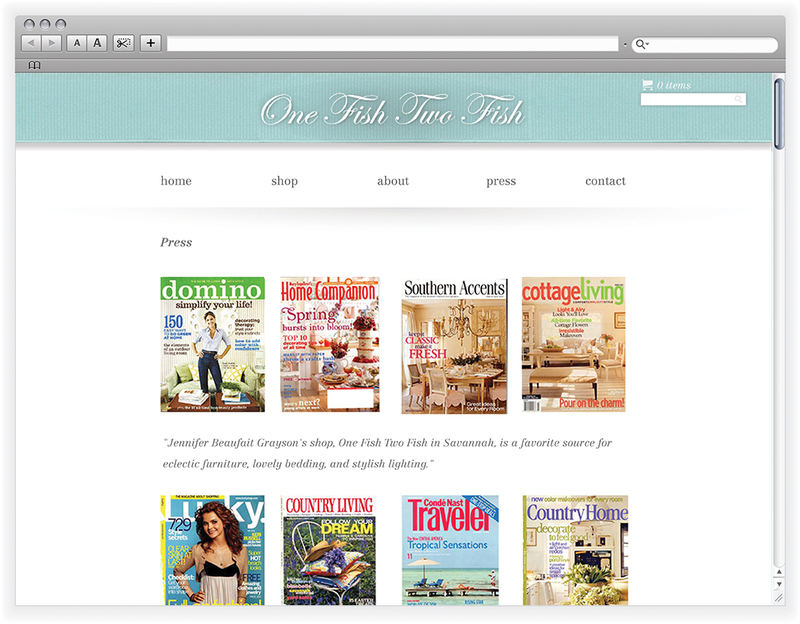 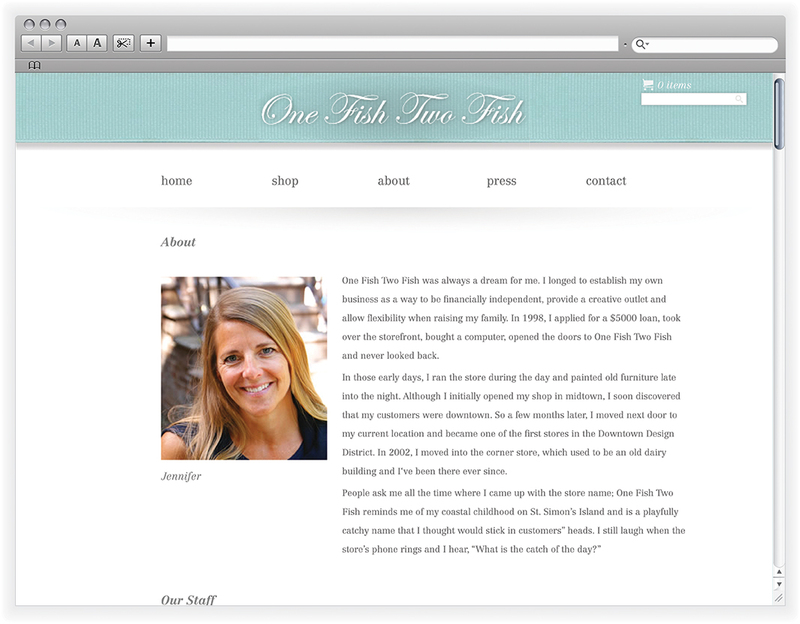 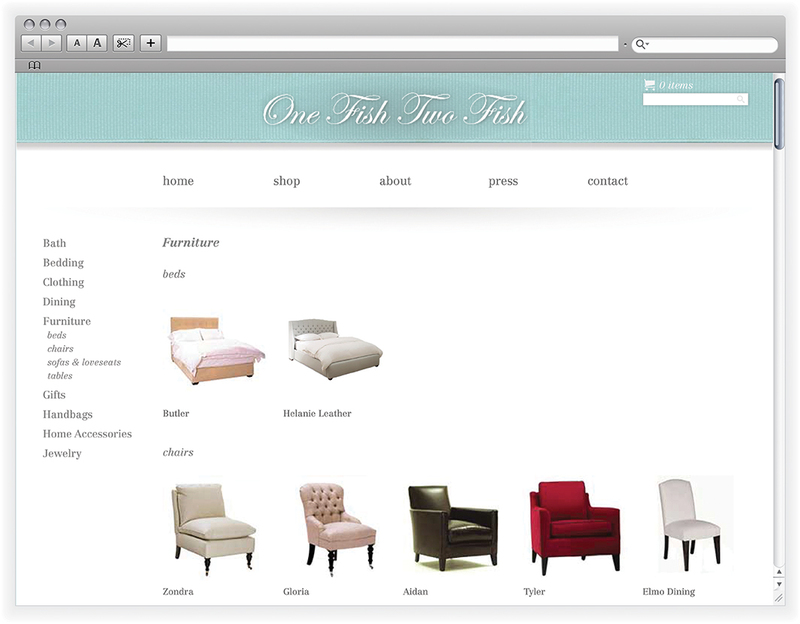 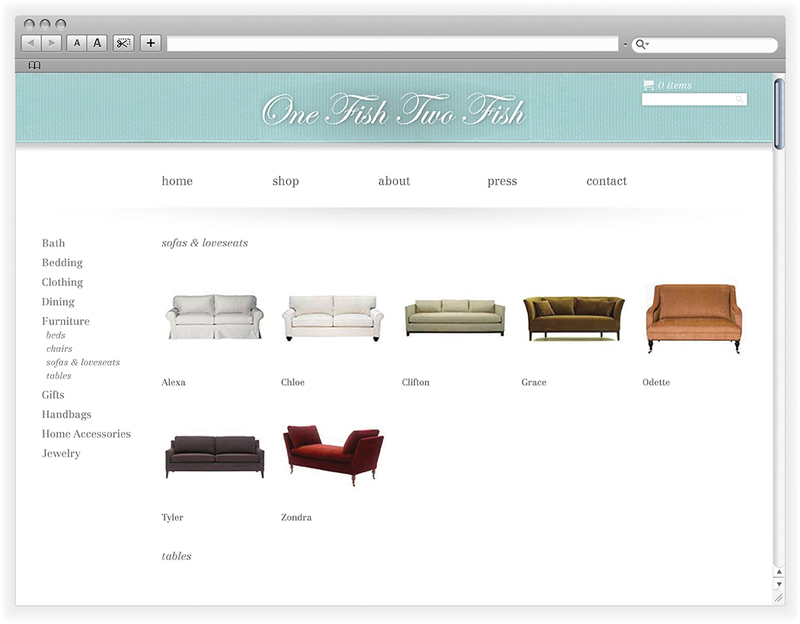 The header and side navigation are sticky, allowing ease of navigation throughout the site even while viewing One Fish Two Fish’s large inventory. 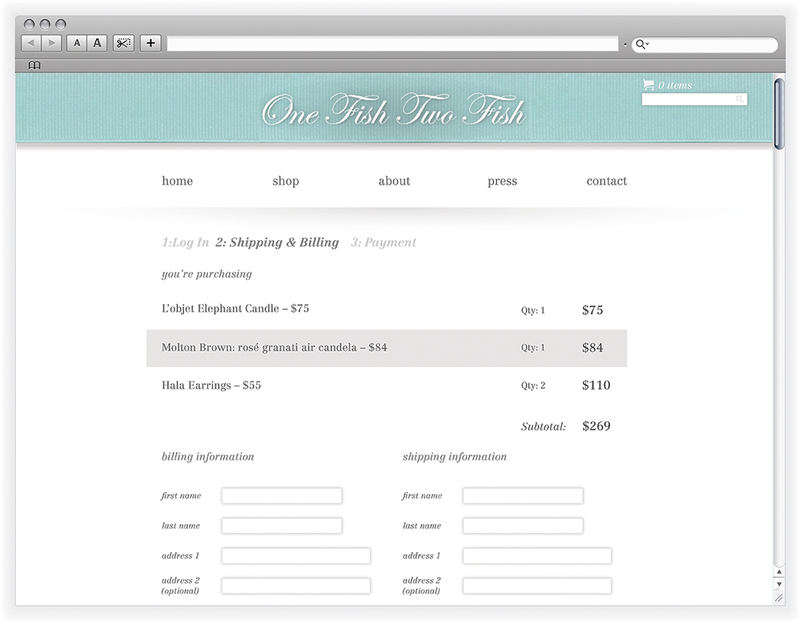 Anchor tags in the side navigation bring the user directly to that section of the page. 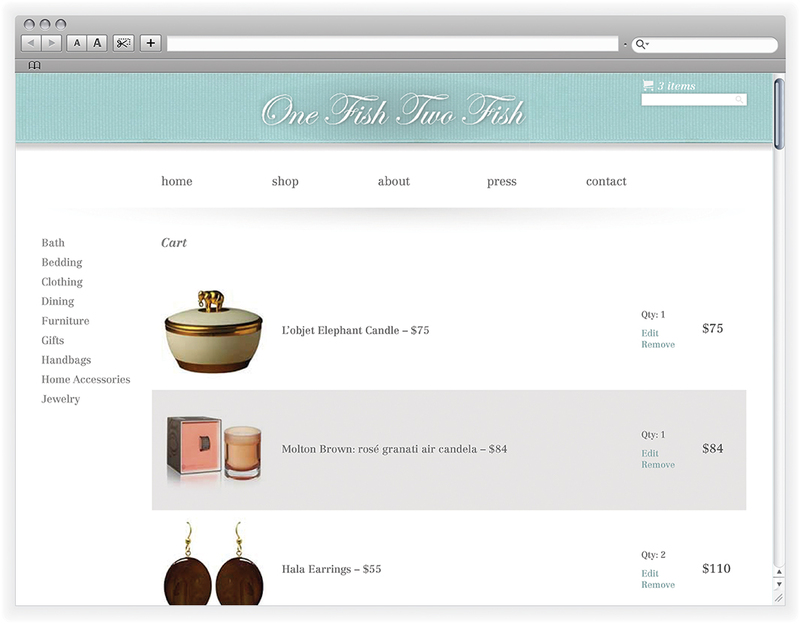 An example of a cart page.